December was a busy time for General George Washington and the Continental Army in 1777. 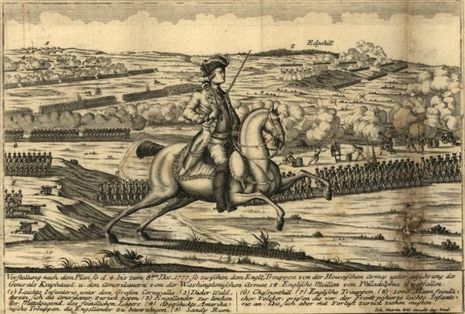 On November 2, Washington moved the Continental Army into a camp in Whitemarsh, PA. Yet, he thought that the area, about 16 miles northwest of Philadelphia along the hills between Old York Road and Bethlehem Pike, not far down the road from where there was a British occupation in Germantown and even moreencamped in Philadelphia, was vulnerable to attack by the redcoats. He was right. You can read more about the Battle of Whitemarsh at the World History Project or at one of the many Revolutionary War websites here. I write about the Battle of Whitemarsh in my novel, Becoming Valley Forge, because it was part of the Philadelphia Campaign of 177-1778. The characters in Becoming Valley Forge answer the question of what happens when the war comes to your backyard, in this case, the backyards of those who live in Whitemarsh, Germantown, and Chestnut Hill. I hope you’ll read about this battle in the book and let me know what you think about it. Feel free to email me at svance@theelevatorgroup.com.